Let’s hear it for the Main Man! At San Diego Comic-Con this summer, the producers of Krypton announced that Lobo, the intergalactic bounty hunter known for his mean attitude and meaner right hook, would be prominently featured in the SYFY Superman prequel’s second season. Today, it was announced that Irish actor Emmett J. Scanlan will be the man bringing the universe’s last Czarnian to life. Krypton’s take on Lobo will be a ruthless bounty hunter who murdered his entire species, and who possesses a genius level intellect when it comes to matters of warfare, making him a deadly adversary. Imbued with superhuman strength and virtually immortal, Lobo will keep coming until the job is finished. His word is the only thing Lobo holds sacred; and although he’ll never violate the letter of an agreement, he might disregard its spirit from time to time! That description sounds pretty true to Lobo’s comic book iteration as well. Lobo was born into the utopian society of Czarnia, but left after wiping out his entire race. Since then, he has worked as one of the universe’s most effective, relentless and violent bounty hunters. Part of what makes him so good at his job is his ridiculous power set. The guy has super strength that rivals Superman’s (and let’s not forget, in Krypton, Superman doesn’t yet exist), plus he has powerful regenerative healing and is essentially immortal. And that’s to say nothing about his practical skills. Lobo is one of the best brawlers in the universe, as well as an excellent tactician. 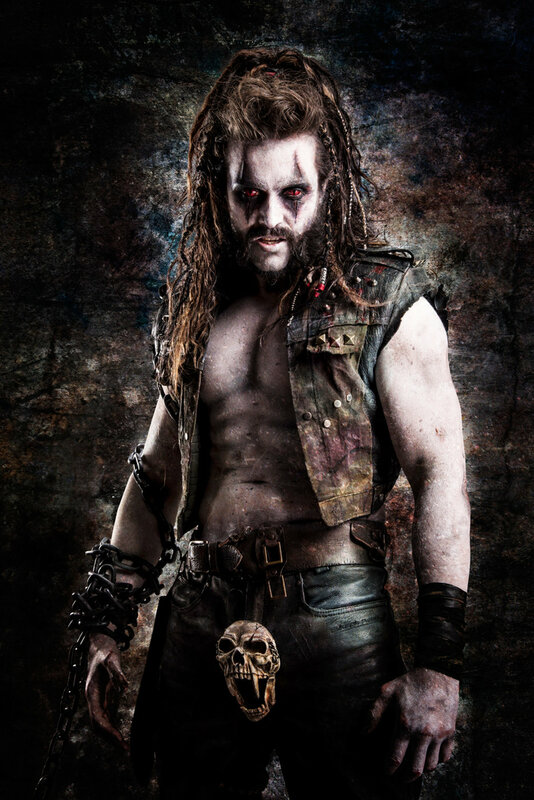 It remains to be seen how Lobo is portrayed on Krypton, but as his fans know, he isn’t always a villain, and lately has been portrayed as more of an antihero. While Lobo’s not above lying, cheating, stealing and killing, he is a man of his word when it comes to any contract he takes on, and sometimes those contracts are actually to the benefit of the universe. In fact, this code of his has allowed him to forge understandings and alliances with many of the DC Universe’s heroes, including some of the Green Lanterns, Superman and most recently, Batman, who enlisted Lobo into the Justice League of America. While Lobo has appeared in a large number of DC’s animated series, including Superman: The Animated Series, Justice League, Young Justice and Justice League Action, as well as in 2013’s Injustice: Gods Among Us, this will mark his very first appearance in live action.